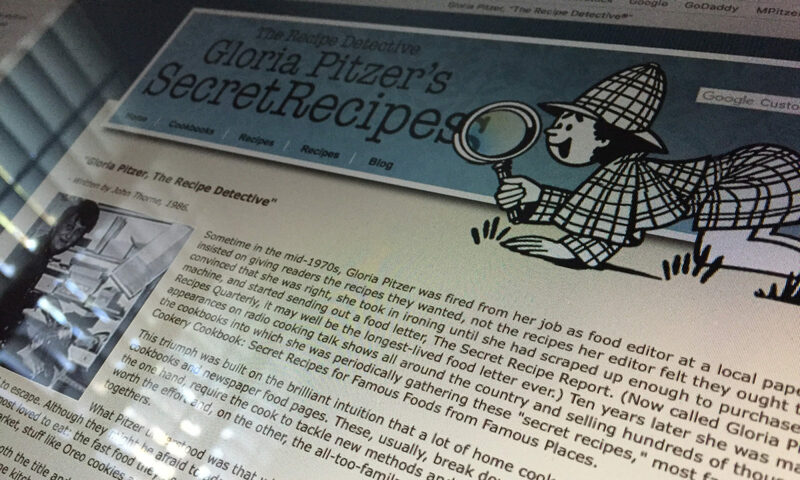 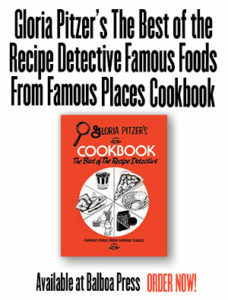 1972-1973 – “Gloria Pitzer’s Secret Recipes” began with a unique collection of about 200 recipes (each printed on 4”x6” index cards, ready for filing), which Gloria developed and tested in her own kitchen – recipes for making famous fast-food dishes and favorite supermarket products right at home; with the intention to save households money on their “entertaining” & “grocery” costs. 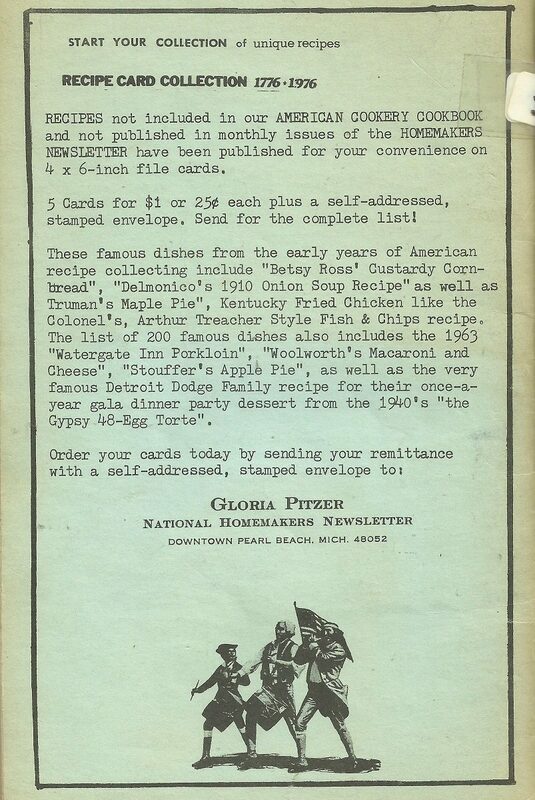 This photo (above) is a copy of one of her own ads [as seen on the back of her bi-centennial cookbook, Gloria Pitzer’s The American Cookery Cookbook (July1976)], for how to buy these recipe cards at $0.25 each or 5 for $1. 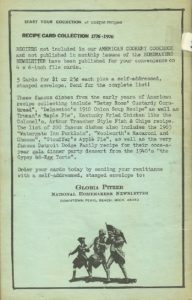 These are NO LONGER IN PRINT!